A romance-comedy set against an upcoming end-of-the-world scenario, Seeking A Friend For The End Of The World is wistful masterpiece, an exceptionally fresh take on an old genre. The flickering connection between two neighbours falling in love as the planet faces extinction touches the collective human soul. A large asteroid is on a collision path with Earth, nothing can avert the tragedy and impact is expected in three weeks. The planet will be destroyed. Insurance salesman Dodge (Steve Carell) has been abandoned by his wife, but tries to maintain a semblance of normalcy by actually showing up for work. Remarkably, some customers are still calling him. Dodge is introverted, refuses to partake in the debauchery that adults are now engaging in, and deeply regrets giving up on Olivia, the high school love of his life. His next door neighbour is Penny (Keira Knightley), who is involved in a disintegrating relationship with boyfriend Owen (Adam Brody). Penny is lively, disorganized, can sleep through anything, and is desperate to reconnect with her parents. When riots and looting break out Dodge and Penny flee the neighbourhood together, along with Sorry, an abandoned dog. Penny promises to help Dodge find Olivia, and with all commercial flights grounded he promises to help her find a plane that can fly her to her parents. Along the way they meet Glenn (William Petersen), who has prepared for the end in his own way, and they share a meal at a restaurant that is now serving a lot more than just food. As Penny and Dodge fall in love they cross paths with a small-town police officer still fulfilling his duties, and visit Penny's old boyfriend Speck (Derek Luke), who fully intends to survive the apocalypse. As the moment of impact draws near, Penny and Dodge confront the sum total of their lives and are forced to reassess their priorities. 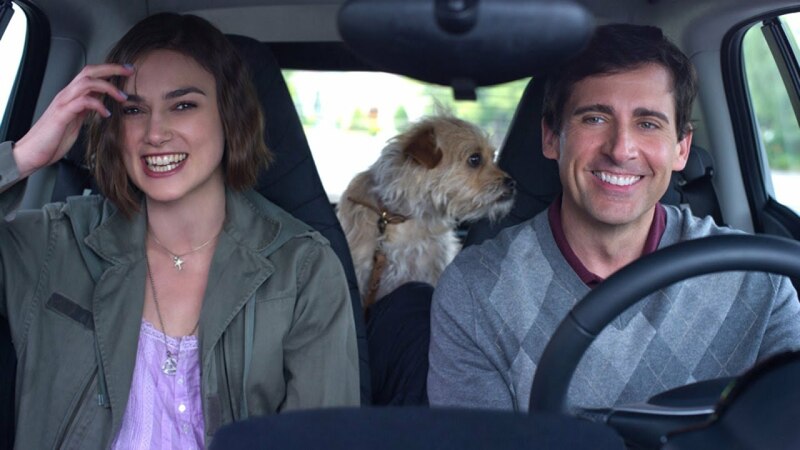 Directed and written by Lorene Scafaria, Seeking A Friend For The End Of The World is a marvelous achievement. By setting a romance against the ticking clock to end all ticking clocks, Scafaria instills doomsday comedy and plenty of raw fervor. The result is a film that soars into the passion of what it means to unexpectedly fall in love, with the world figuratively and literally falling to pieces. The central romance is a poignant affair, both Dodge and Penny desperate in their own way to salvage something in the few remaining days on earth. Dodge is downbeat, abandoned and pretty sure that his life has been a total loss. The promise of finding the elusive Olivia provides him with a final spark to pursue. Penny is practical but also frantic, not as much dwelling on the impending end as regretting that her ditziness may have cost her the last chance to say goodbye to her parents. Together they make for an indelible couple embarking on a happily haphazard road trip. Seeking A Friend does not just exploit its premise as a cheap plot device. In the background of the unfolding romance, Scafaria covers the gamut of how society is likely to react to the end of the world. Some people commit suicide. Others hire assassins to do the dirty deed. Some corporate workers still show up at work, as does Dodge's housekeeper Elsa. Looters take over the streets, but only in some neighbourhoods; other remain untouched. Dodge's friends throw drug-fueled orgies where children are exposed to all the sins of the adults. A neighbourhood restaurant redefines the standards of friendly service. Speck and his buddies hunker down with guns, ammo, pop and chips, fully intending to survive and repopulate earth. Rarely has a romance offered such an immersive backdrop. 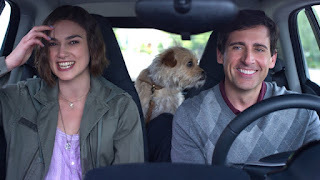 Steve Carell and Keira Knightley together deliver some of their best screen work. Carell is excellent as a man resigned to quietly withdrawing from life, and then allows Dodge to ever so gradually come out of his shell under Penny's influence. 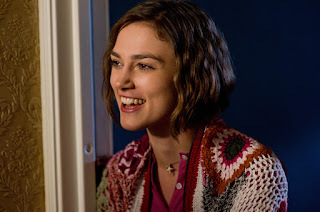 Knightley is even better, creating in Penny a woman in love with a hectic life and happy to run with it right to the end. Martin Sheen appears late in a pivotal role that packs a sentimental punch. The film enjoys several stunningly memorable scenes. At Speck's bunker, Penny uses a satellite phone to call her parents. In one of Knightley's career highlights, she is devastatingly heartbreaking talking to a parent that she will likely never see again. Another overwhelming scene has Penny and Dodge stumbling onto a peaceful group of people deciding to calmly wait out the end of the world by enjoying each other's company at a small beach. In stark contrast to the depravity, riots, looting and suicides witnessed earlier, this collection of parents and children just celebrate what they have had and await the end in contentment. And as the moment of impact finally arrives, Scafaria finds the meaning of life in two people connecting, side by side, finding the only closeness that matters at the time when it matters most. One of the best films of 2012, Seeking A Friend For The End Of The World shines brightest at the most bittersweet end, when love's eternality is most apparent.